Be a Patron of Hiroko's Art! 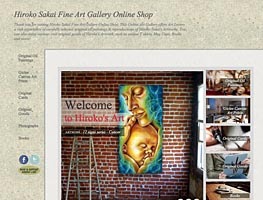 Thank you for your interest in supporting Hiroko's Art. Life as an artist is a struggle. We depend on others in so many ways. My purpose in life is to give everything I am to my art. Yet my work must also mean something to you, my viewers and friends. Art is like a partnership of the artist and the patron. All I want is to inspire, delight, and provoke! But my art only comes alive when it is appreciated. You are the eyewitness to my art, and without you, there would be no meaning to my work. Now is the time that I call out to you to show your support for me and what my art means to you. Some artists depend on wealthy patrons to help them devote their lives fully to their craft. Unfortunately, I have no guardian angel with a big bank account. However, I am hoping that by fund raising using crowd-sourcing, I can ask for a small contribution from all of my supporters to help me grow as an artist. This way you will all be my guardian angels! Your $10 or $20 gift will give me the tools and time I need to be worthy of your faith in me and keep producing! I know that we're all facing the same problems, and everybody needs every dollar. 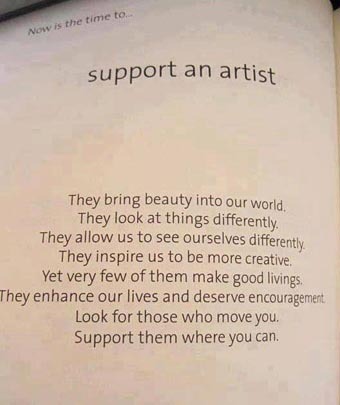 But I am hoping you will remember how my art has effected you, and show your love by donating whatever you can afford. Without you, I can't go on! Thank you for your kindness and support over the past years! Your small Donation makes BIG difference! Support Hiroko's Art to keep alive. ☞ Please click the image above to make your donation through "Paypal"
Where you can purchase various styles of Hiroko's Artwork online, from casual art goods to original oil paintings. Special Thanks for Your Supports!